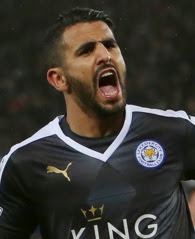 Leicester City ace Riyad Mahrez has won the PFA Player of the year award for 2015-16 season. He scored 11 goals and assist 16 in what was a fairy-tale run for french born Algerian. 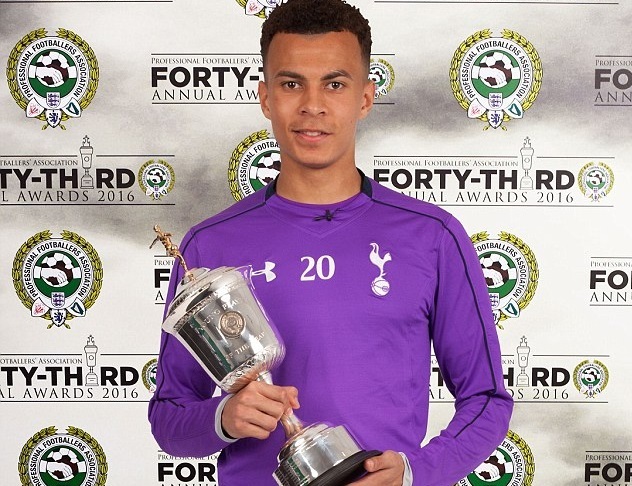 Tottenhan’s 20-year old Dele Alli scoops PFA young player of the year award after playing integral role in Tottenham’s title challenge alongside Leicester City. 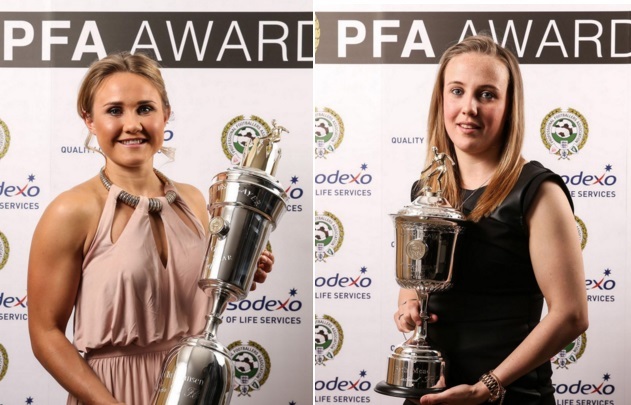 Izzy Christiansen was awarded women PFA Player of the year while Sunderland’s Beth Mead scooped the women’s young player of the year award. 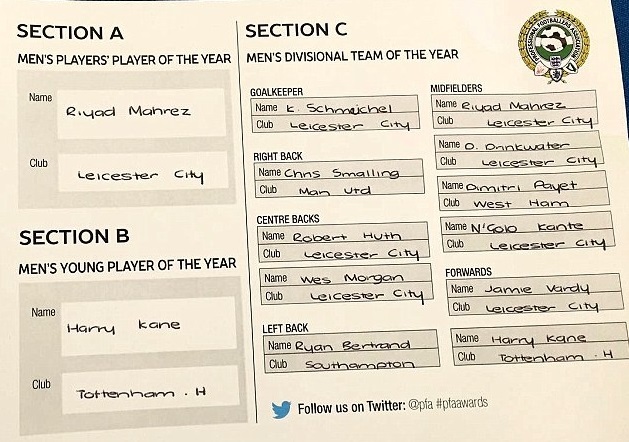 The shortlist for 2016 premier league PFA awards has been announced and Leicester City trio of Vardy, Mahrez and Kante has been nominated in 6 man shortlist for the main award while Dele Ali is favourite to win the young player of the year award. Premier League has announced the shortlist for this year’s “PFA Player of the year” and “Young player of the year” awards set to be handed out in official season ending PFA ceremony on Sunday, 24th April 2016 in London. Leicester City’s incredible season resulted in Riyad Mehraz, Jamie Vardy and N’Golo Kante has been shortlisted for the PFA player of the year award alongside, Harry Kane, Dimitri Payet and Mesut Ozil. While Dele Alli, Philippe Coutinho, Romelu Lukaku, Ross Barkley, Jack Butland and Harry Kane has been nominated for young player of the year award. PFA Award Ceremony 2016 Date & Time: The 43rd annual PFA awards ceremony will take place on Sunday, 24th April 2016 in London where the winners of different category awards will be announced. Ceremony is set to take place at around 19:00 uk time and the winners results will be published by 09:00 pm uk time. We will update this page once the winners are revealed. 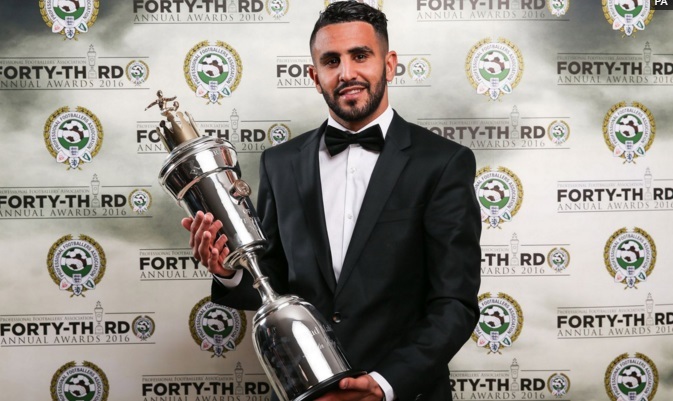 Riyad Mehraz is clear favourite to win the PFA Player of the year award he is likely to beat the challenge from teammates Jamie Vardy and N’Golo Kante, Ozil, Harry Kane and Dimitri Payet. Mehraz had an absolute cracking season where he has scored 16 goals and provided 10 assist. His contribution is far more than just goals, he has been the driving force behind Leicester City’s title run alongside Jamie Vardy. Its shame that Dele alli is not nominated in the main award but he is more than likely to scoop the young player of the year award after absolute superb season with Tottenham where he contributed 8 goals and 10 assists. Stoke City’s Jack Butland is also an outsider but Alli’s performances has been so good I can only see him winning young player of the year award. The voting process is simple, a form is sent to every club in the England top 4 divisions and all professional players and coaches from those clubs are requested to fill in the form with their nominees. here is an example of John Terry’s PFA award nominees.